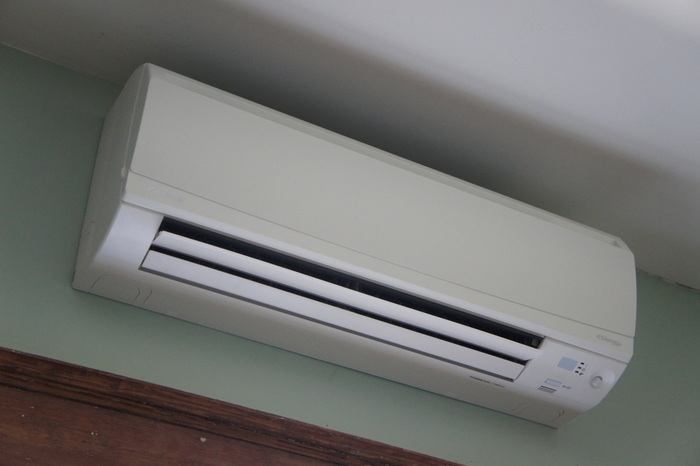 Ductless heat pumps use less energy and provides more heat for your energy dollar – now that’s technology at work! 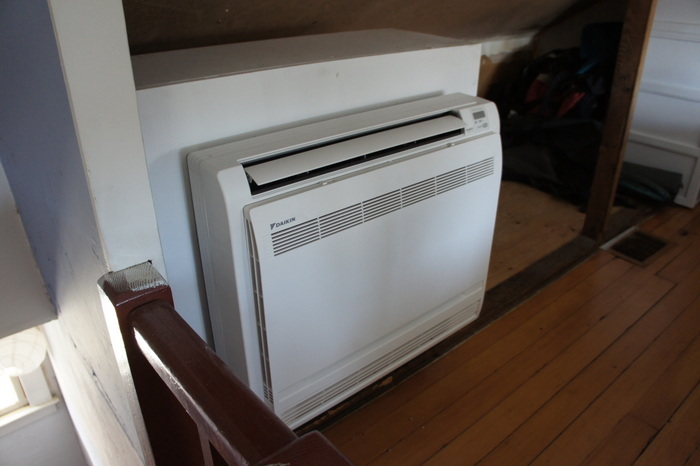 Compared to electric baseboard or wall heat, you could see a 25-50% reduction in heating costs (source NEEA, NW Ductless Project). We can have systems installed and ready to use in as little as one day. 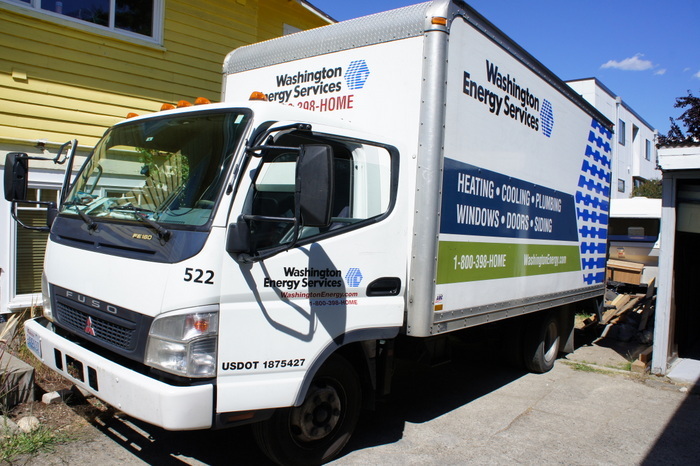 The excitement begins when the Washington Energy Services truck backs into your driveway. 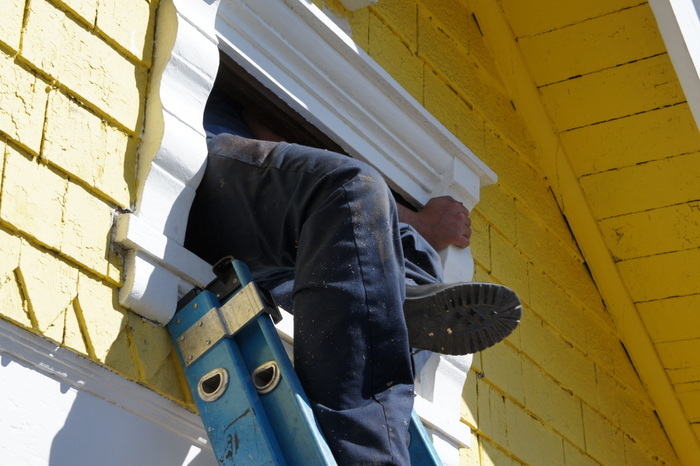 Enhanced home comfort will soon be installed for this happy homeowner. 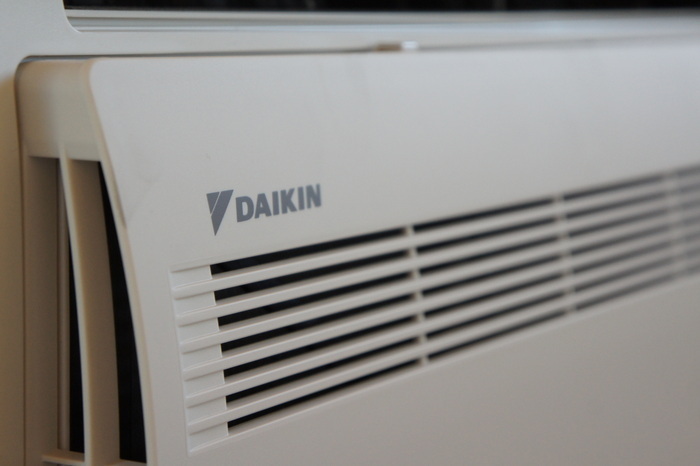 Besides the fantastic energy savings, ductless heat pumps offer many more benefits. 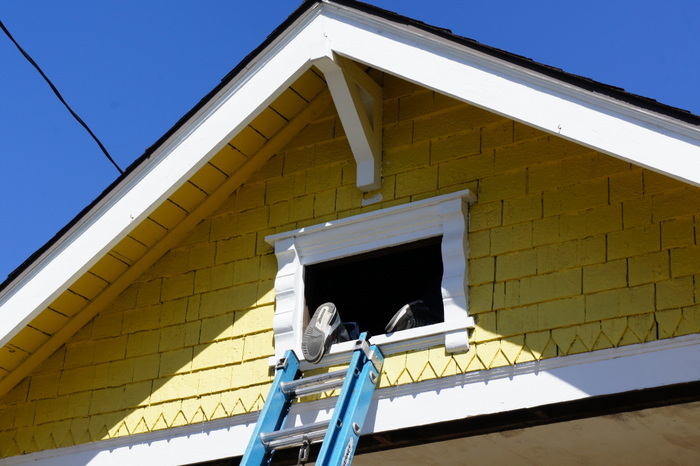 For instance, they can be installed in tight spaces (half the size of traditional heat pump units) and they’re also much quieter – meaning you (and your neighbors) will hardly notice it. 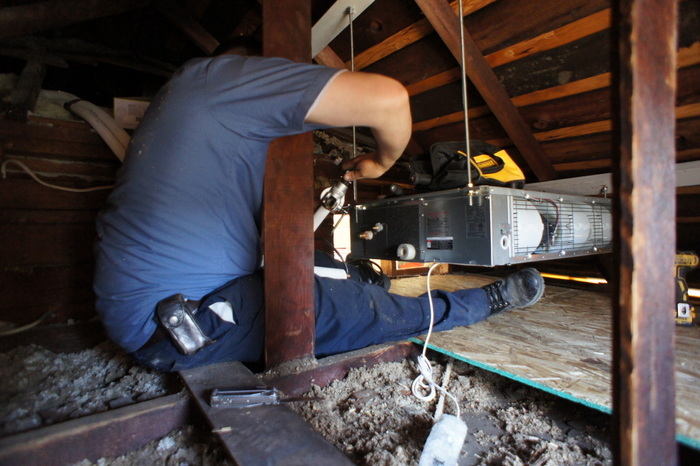 Part of this home’s installation is an attic cartridge, which will transfer cool air from the unit through flexible ducts to openings in the ceiling or wall. 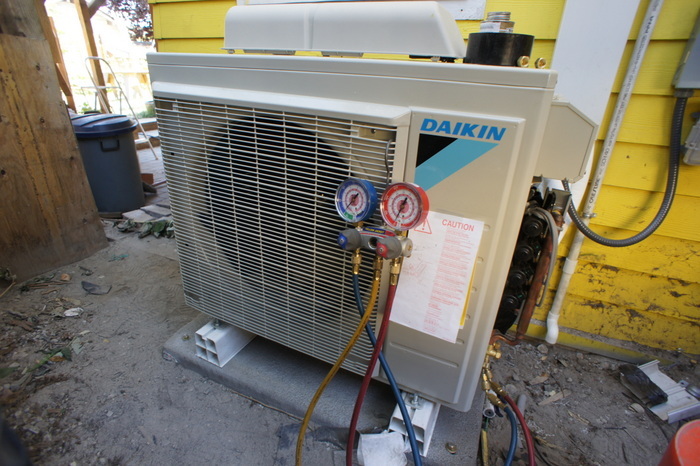 If you have a few rooms connected via attic, this saves you from needing to install a mini-split evaporator in the room. 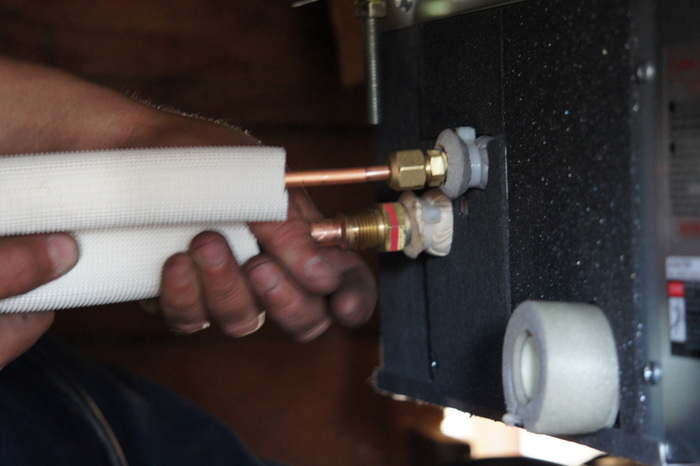 Additional evaporators (also known as “heads”) are installed in the kitchen and in two bedrooms. These small units will provide room-by-room controlled comfort. 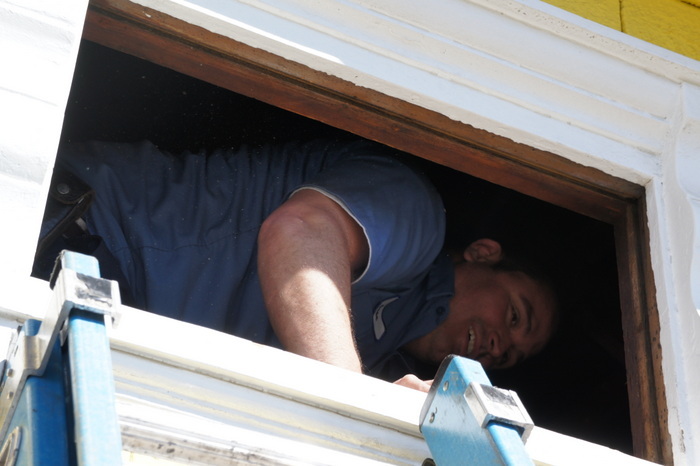 With the attic work complete, our installer is able to crawl out of the tight space with a smile on his face – proud of a job done right! 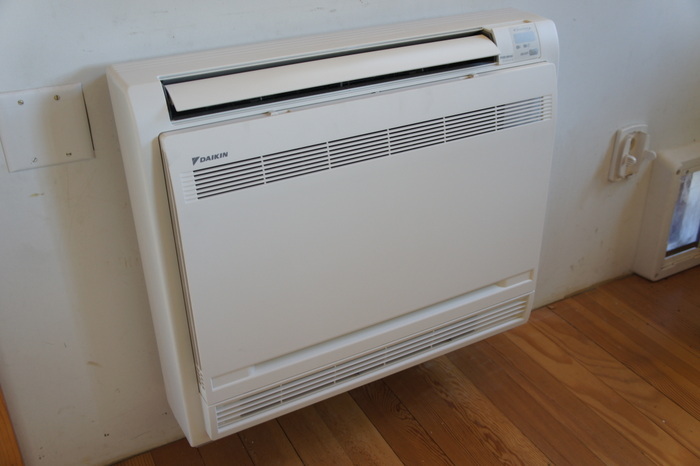 If you’re considering a move to a ductless heat pump, give us a call at 800-398-4663 or fill out our free estimate request form.